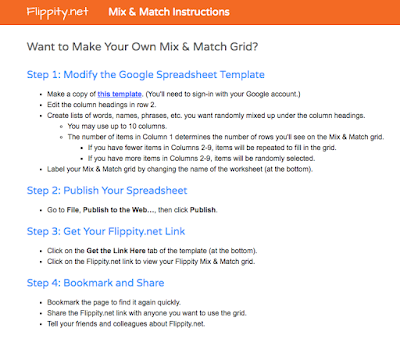 Flippity.net's Mix & Match Grid is a fun way to work on teaching about sentences with a little twist. Students will need to create 4 parts to the sentence they create (site's example in bold). 4. End - what is now the Dominican Republic. 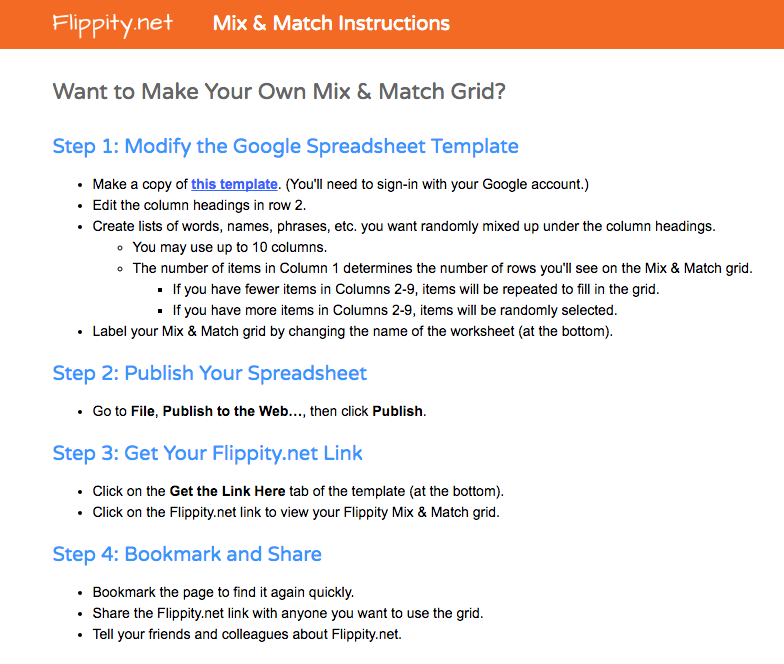 Flippity does a nice job of always including the steps on how to use their templates (see pictures below). I have also included a 2 minute and 30 second embedded YouTube video below.